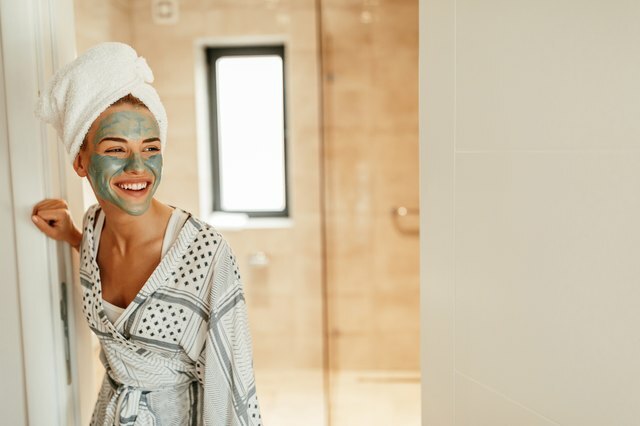 Nowadays, with all the different skin care treatments out there—everything from 10-step Korean beauty skin care routines to expensive microneedling—it can be quite refreshing to go back to basics with mud masks that help exfoliate the skin. 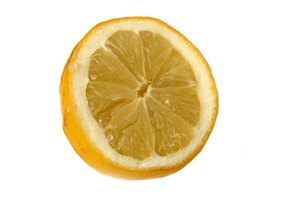 Not only that, but they also are great for treating acne-prone complexions without the use of harsh chemicals. Don't get us wrong, though, we're not talking about the kind of mud that's sitting in your backyard. This is the real deal and no matter what your skin type or concern, mud masks work all year-round to maintain a healthy glow. So here's exactly why a mud mask needs to make its way into your skin care routine. You're welcome. A mud mask, like any exfoliating skin mask, is a supplementary skin care option applied to the surface of your skin. Bottom line: mud masks heal and rejuvenate the skin. Unlike pure clay or cream masks, mud masks can sometimes be messy or runny due to being water-based, but they effectively provide direct benefits to the skin and body, treating everything from acne symptoms to cellulite. Similar to pure clay masks, a mud mask should be rinsed after it's dried (though it isn't as drying as clay) and before it's reached the flaky stage, in order to absorb all the benefits without stripping your skin dry. 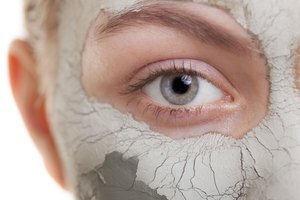 Dr. Dhaval Bhanusali, a Skincare.com consultant, explains that when choosing a clay mask, it's important to look for one specific ingredient, such as kaolin, that works for your skin. The same principle applies to mud masks. Ingredients to look for include: a high-quality clay (or combination of clays) suited to your skin type, mineral powders (if you want an extra nutrient boost), and water. Mud masks can come in both mud and powder form. Since it's a huge skin care trend, mud masks have become more complex and sophisticated. It's good to look carefully at all the ingredients listed in your mud mask, as you'll see everything available from seaweed to activated charcoal, which has become all the rage in skin care in the past year. In addition to being a time-saver, mud masks naturally purify, detox, and exfoliate. Dead Sea mud masks treat symptoms of acne and eczema with a powerful combo of salt, magnesium, potassium, and calcium. By pulling harmful toxins from the skin’s cells, the resurfacing effect on your skin leaves you with a refreshed, healthier look. The appearance of fine lines, wrinkles, and pores are lessened over time by regularly using mud masks in your skin care routine. Packed with nutrients and minerals, mud masks also have lesser known benefits. They can reduce the appearance of cellulite and have been known to treat joint pain when applied to sore areas in a compress. Similar to clay masks, which are often made of kaolin or bentonite clay or charcoal, mud masks exfoliate by tightening as they dry, allowing dead skin cells to stick to the surface of the mask. The dead skin is then washed or wiped away upon removal of the mask. This is often less irritating to the skin than using exfoliants made from synthetic beads or a scrub formula—or chemical exfoliants, which include glycolic and salicylic acid. In addition to being one of the most effective exfoliating skin masks around, mud masks are water-based, thus soothing your dehydrated, breakout-prone skin. Hydration prevents further over-production of oil to make up for what was just lost. When too much oil is produced, pores can become clogged and lead to acne symptoms such as pimples, blackheads, and cysts. A mineral-rich mud mask may be just the thing you need at the end of a long week to help detoxify, brighten, and hydrate your skin in less than 20 minutes. BioClarity: Are Face Masks Good for Acne? Elle: How Do Clay Masks Work?